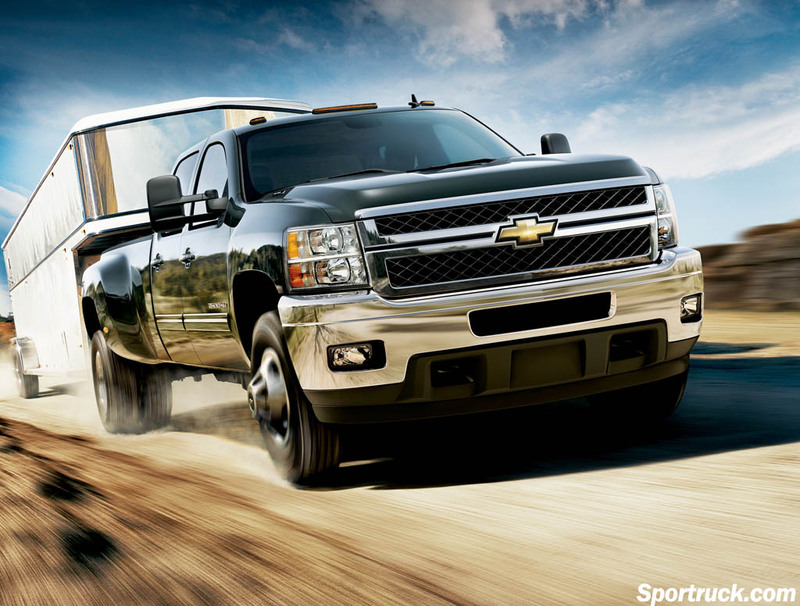 New Silverado upgrades include suspension, engine, transmission, chassis and brakes. The new Silverado Heavy Duty truck has a new face with bold styling including a power dome hood with louvered details, a new new grille, and a wide opening in the new chrome front bumper. 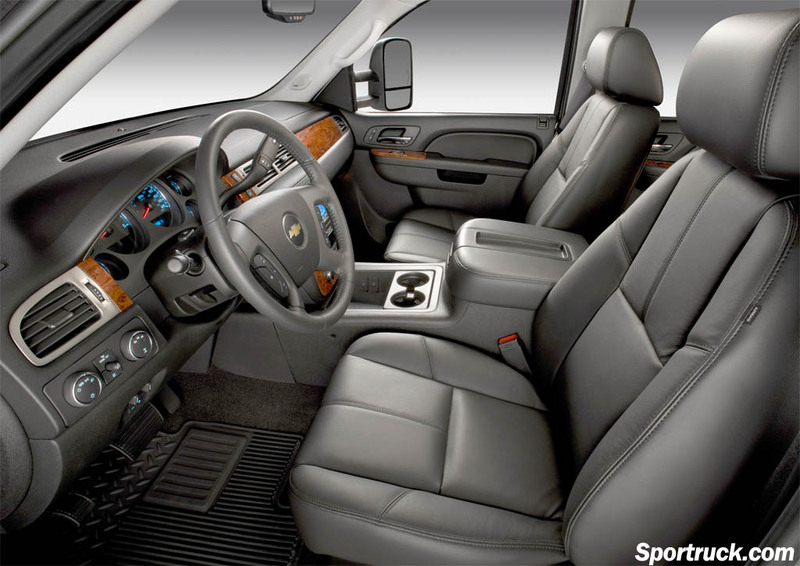 With new configurations including a 6.5-foot bed on the 3500HD Crew Cab. 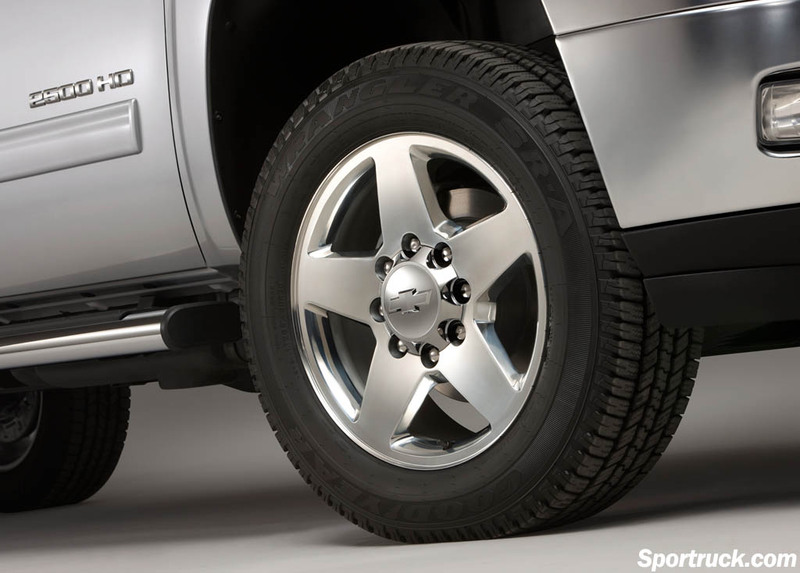 Standard wheels are 17-inch diameter, with available 18 and 20 inch options. 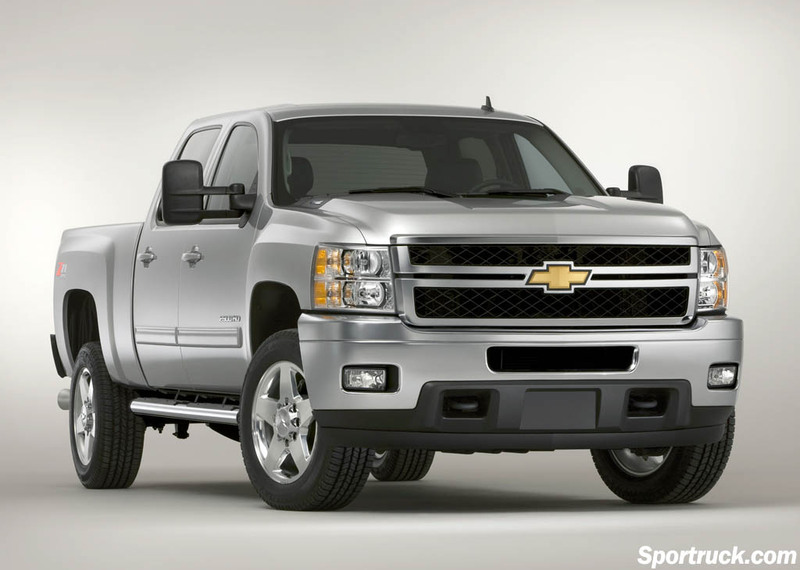 The new Silverado Heavy Duty trucks ride on a redesigned chassis, with thicker steel and hydroformed front sections. The frame incorporated 11 fully boxed frame assemblies. These boxes areas improve torsional stiffness nearly five times, and the resulting frame improves bending stiffness by 92 percent. 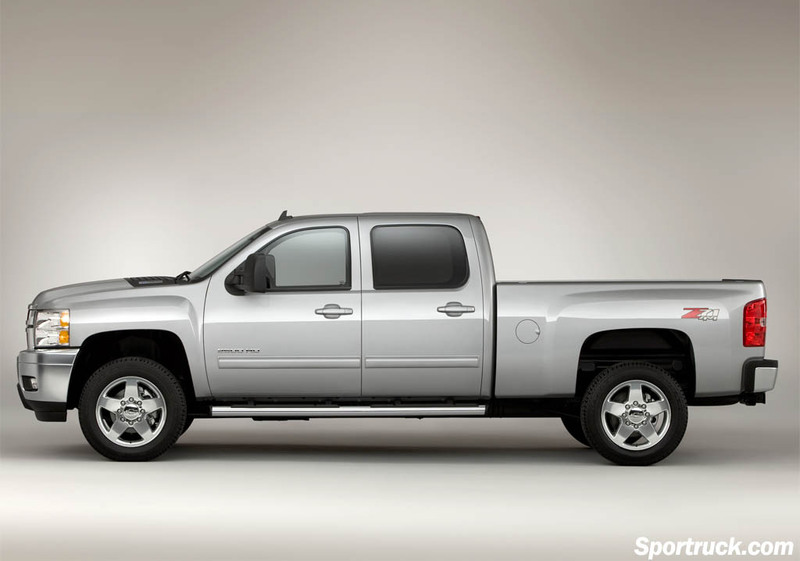 Not only is the frame more durable, but it also increase towing capacity and improves handling. Engine and transmission mounts have been enlarged to reduce vibration, and hydraulic body mounts under the cab keep passengers comfortable. Since these trucks were designed with towing in mind, special access holes were added to the rear frame to facilitate installation of fifth-wheel hitches. The frame-mounted rear hitch was also given an upgrade with a box-tube design now capable of towing 16,000 lbs. The front suspension incorporates new upper and lower control arms and new torsion bars tailored to one of five different gross axle weight ratings. Upper control arms are constructed from forged steel that is both both stronger and lighter than the previous arms, while the new lower arms are cast iron to maximize load capacity. Using a unique torsion bar for each gross weight rating allows for better control over vehicle height, resulting in improved handling and better alignment for reduced tire wear. These improvements allow for up to a 6,000 pound front axle weight rating, allowing all 4wd trucks to accommodate a snow plow. Additional front suspension enhancements come from new urethane bump stops, two per side. The upper shock mount has been changed from a single stem mount to a two-bolt design to eliminate the possibility of squeaks and thumps. The rear suspension design uses asymmetrical leaf springs that are wider and capable of greater load handling. The design features 3- inch wide leafs, with front and rear spring sections of different lengths to reduce the twisting that can result in axle hob and loss of traction. The 2500HD use a two-stage design with a rating of 6,200 lbs, and 3500HD models have a three-stage design with 7,050 lb and 9,375 lb ratings on single and dual-wheel models respectively. With these improvements, the Silverado 3500HD now boasts up to 20,000 towing capacity for fifth-wheel trailers, besting that of the 2010 Dodge Ram 23500 and the 2010 Ford F-350. 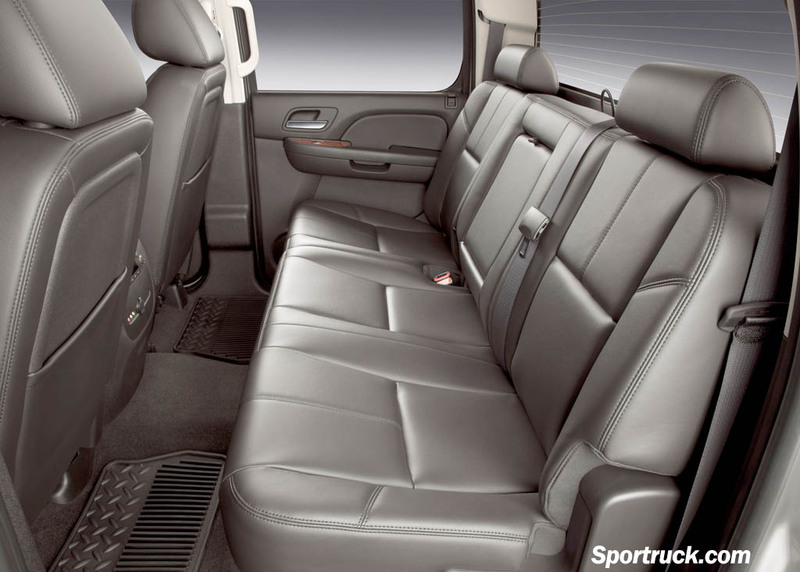 Payload capacity at a maximum 6,335 lbs is also greater than that of current Ford and Dodge offerings. 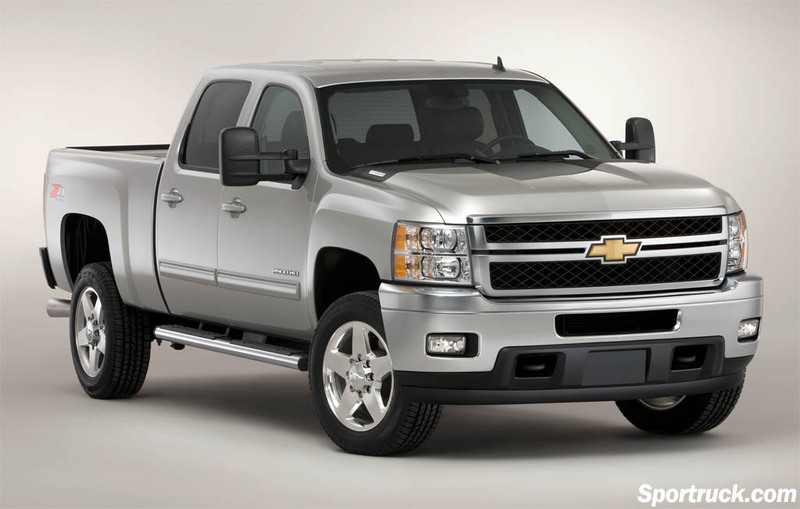 Propelling the 2011 Silverado is a more powerful Duramax 6.6L turbo diesel engine. 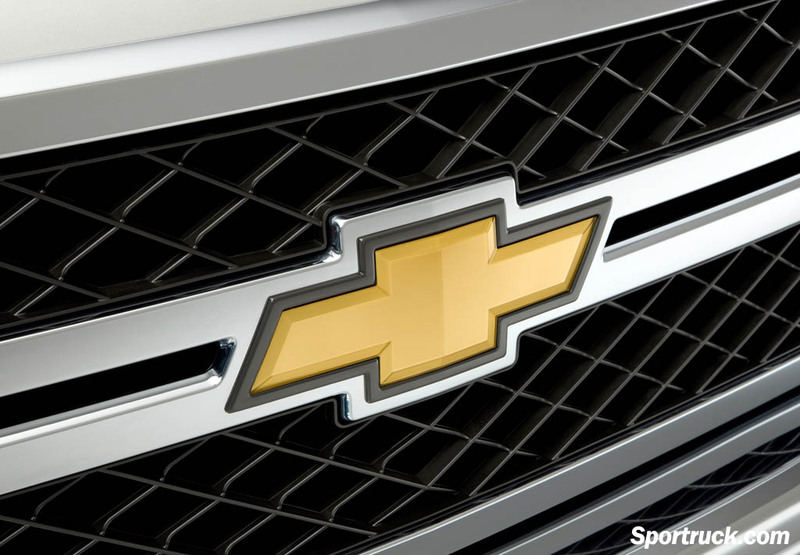 GM claims increases in both horsepower and torque compared with the previous model, while emissions are reduced by other 60 percent compared with the 2010 model. 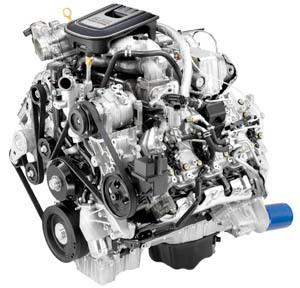 Various revisions help improve durability and assure a long engine life. These include Changing the main bearing profiles to increase oil film thickness, a new oil pump designed to increase pressure at low speeds, changing the oil circuit at the turbocharger to increase pressure and deliver oil faster. Modified connecting rod pin ends provide increased piston support, and new high-strength piston design forgoes bushings resulting in lower reciprocating weight. An bypass for the EGR cooler reduces soot deposits for high-mileage engines. Brake life is enhanced with an exhaust brake system to assist in slowing the vehicle on downhill grades without using the brakes. When activated, the exhaust brake uses back pressure created by the turbocharger to slow the engine. The system is integrated with the cruise control system to provide seamless operation under varying load and grade conditions. 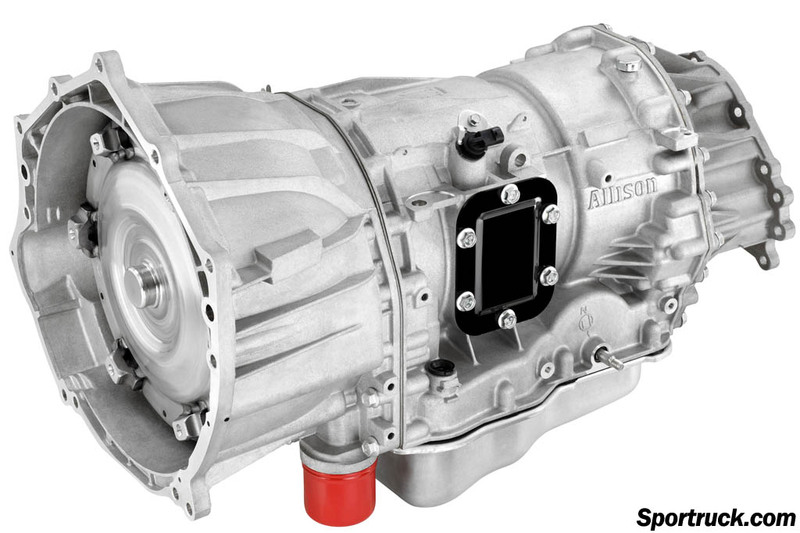 The industrial-strength Allison 1000 transmission has been improved for 2011 to handle the additional power of the engine and improve fuel economy. 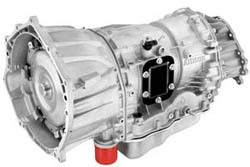 The transmission is more efficient, delivering more power of the axles than before to yield better fuel efficiency. The transmission has six speeds including two overdrive gears. With the new engine and transmission, the truck is capable of sub 9 second 0-60 mph times, and can run the quarter mile in under 16 seconds. The base engine and transmission has also been improved. 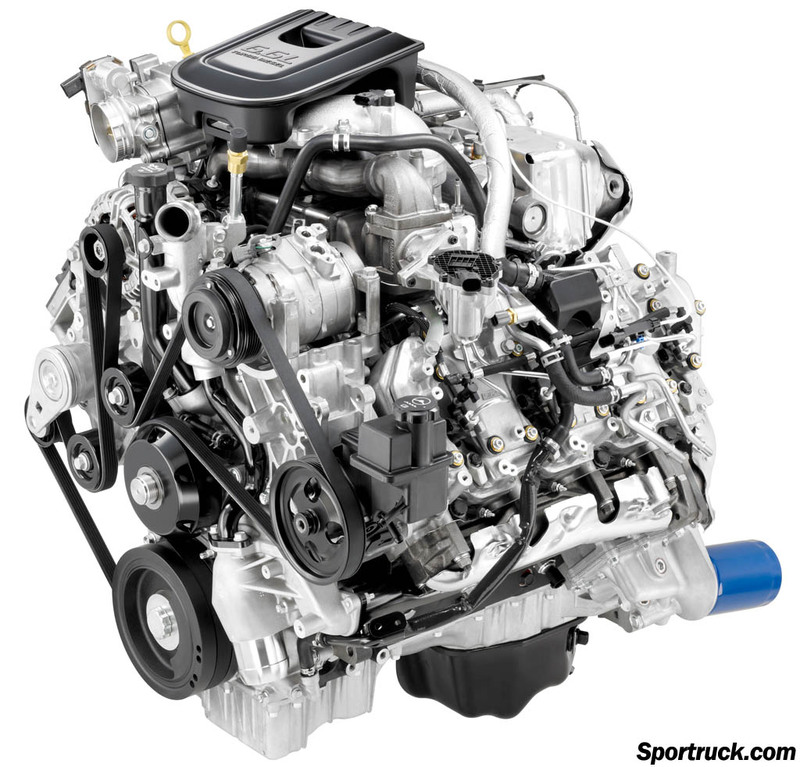 The standard Vortec 6.0L gas V-8 engine receives a new camshaft for more low- end torque and better performance off the line and when towing. The Hydra-Matic 6L90 six-speed transmission has additional attachment points to the transfer case for strength and smoother performance. A stronger output shaft and new heat shield ensure long life and durability. Brakes have been upgraded for 2011, with discs now measuring 14 inches in diameter in front and rear. The rotors are thicker to provide for increased load capacity, and the calipers have been stiffened. The hydroboost system is revised for easier pedal operation and more confident feel. Complementing the system are larger wheel bearing assemblies. Wheelbases and track width have been increased from the previous model, for better handling and a more compliant ride. Handling the turns is also easier with a larger steering gear, higher pressure power steering pump, and upgraded linkages. 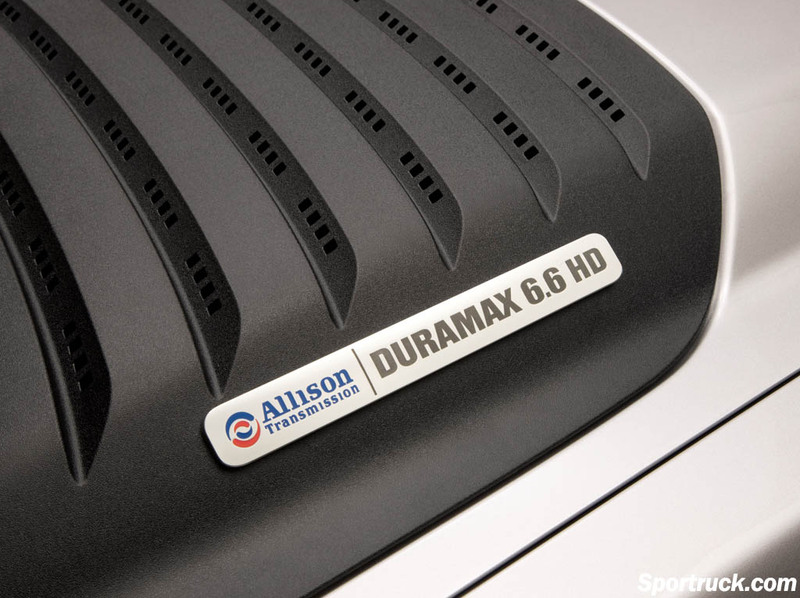 Fuel tanks now offer 36-gallon capacity on all models, and boost maximum range of 680 miles on a single tank when equipped with the Duramax 6.6L engine. Extended cab trucks new feature rear access doors that open a full 170 degrees. Inside, the trucks feature a host of electronic wizardry, including mobile WiFi, USB connection, Bluetooth, OnStar, XM Radio and a navigation system with available real-time traffic updates. 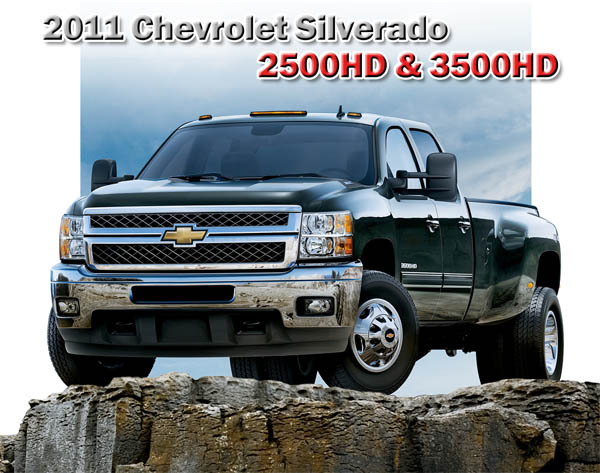 The new 2011 Silverado Heavy Duty trucks will be available this summer.